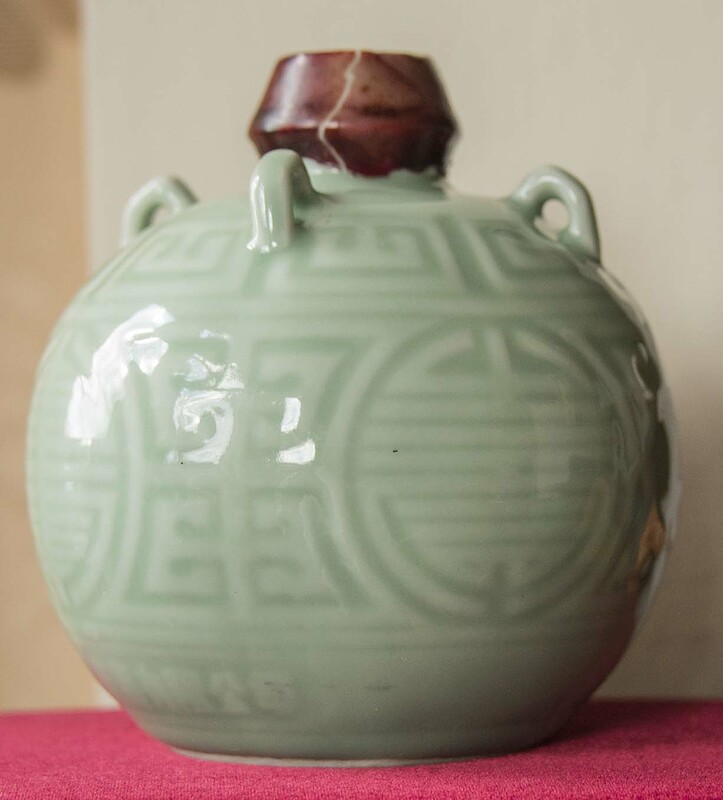 I have a few pieces of Korean Celadon (though I would like confirmation of two of these if possible - see previous posting), but this item is probably not Korean and I should like to confirm it is Celadon. This vase has a curious brown glaze around the neck which I've never seen before. It also has some text on the side. There are very faint marks on the base which I have enhanced to help make them readable. 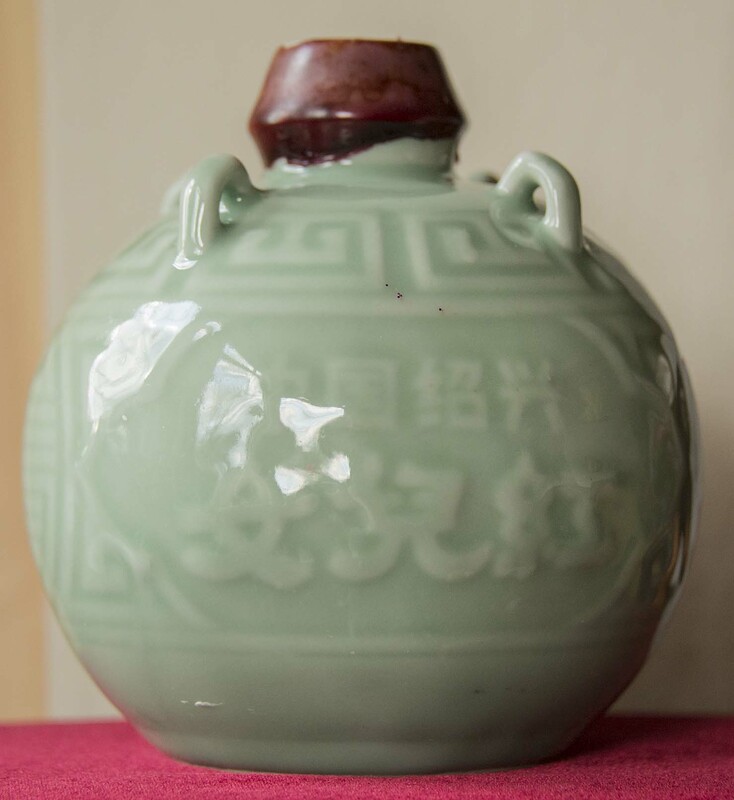 1. what nationality is this Celadon vase? 2. what does the text says? 3. who/when was this made? I've looked at the brown material around the neck of this vase/bottle and it appears to be a sealant or some kind of stopper. I can probably remove it if I am careful. 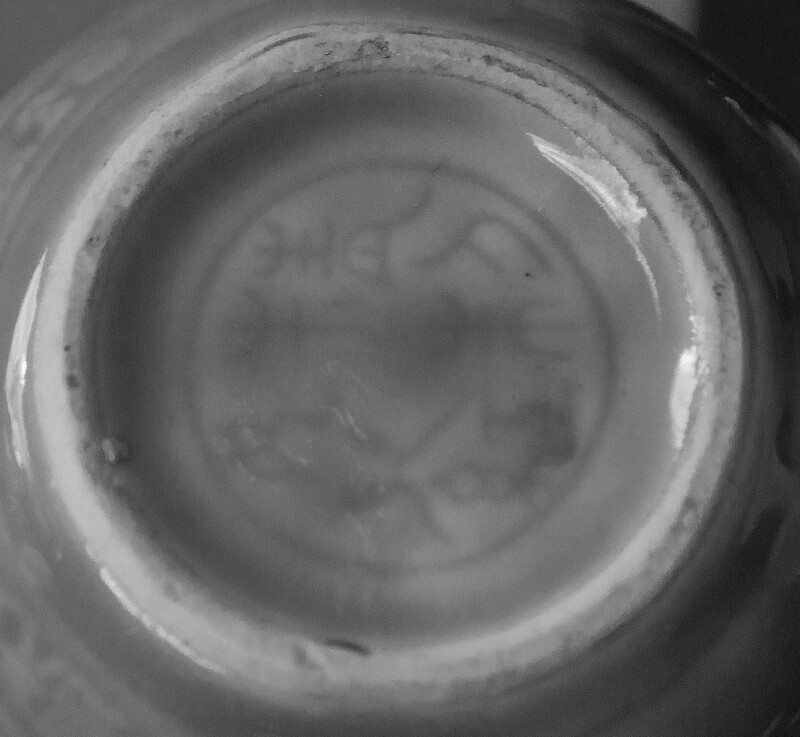 So, presumably this bottle was filled with a liquid which is may be described by the text on the front. Does this help with my questions below? Chinese liquor bottle. Red wax seal to preserve cork or other closure. Contemporary. Modern simplified characters. Many thanks Mikeoz, much appreciated.